20 for 20 Campaign - Anchorage Downtown Partnership, Ltd.
Anchorage Downtown Partnership never imagined how far Downtown would come in the past 20 years and the important and impactful role we would play. Looking forward to the next 20 years, Downtown has its own unique opportunities and challenges. 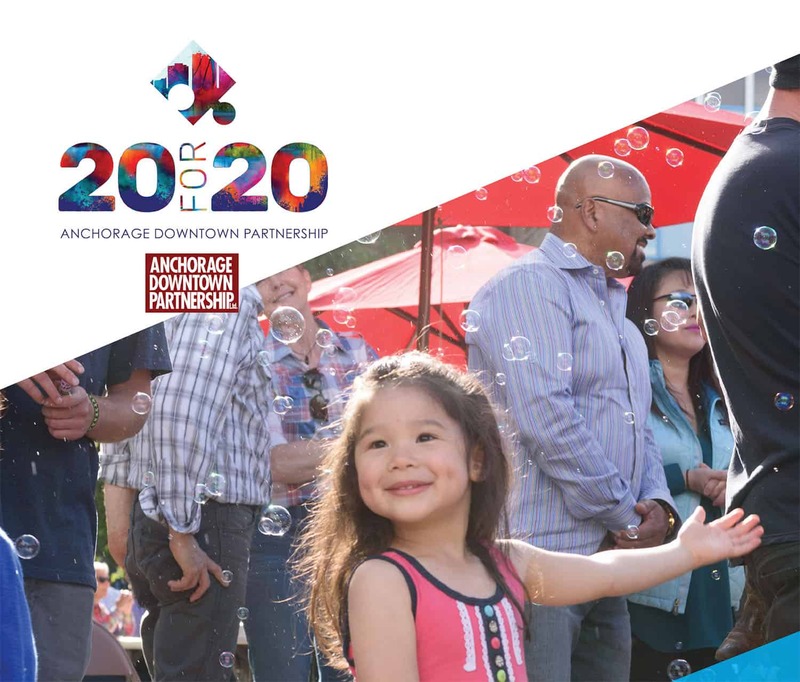 Anchorage Downtown Partnership is committed to drive development to make our Downtown the most vibrant place it can be. The time has come where we need Downtown-centric solutions for Downtown challenges. ENVISION what we can do to develop Downtown in the next 20 years! Help us make it count.